Apart from the standard flour, eggs, butter and sugar, fruits come in as one of the most commonly used ingredients in pastry making. 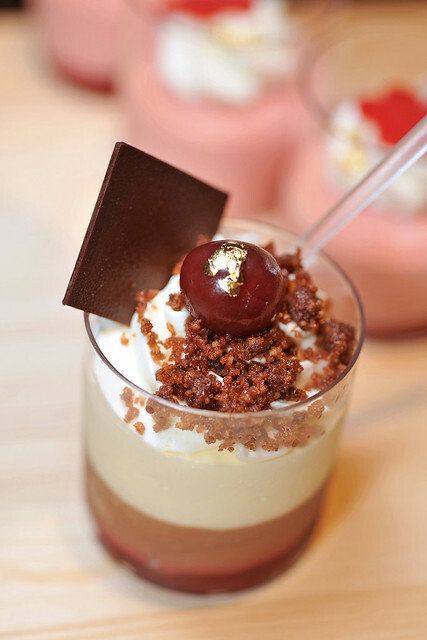 Be it a tart filling, blended into a gelée for an entremet or just to embellish a petit gateau, the possibilities of use of fruit in dessert and pastry is endless. And that could only be possible given the wide diversity of fruits available. From the tropical coconut, to the nordic strawberries, the sheer variety of flavours, aromas and textures one could tease out of fruits makes them one of the most versatile ingredients to work with. This year’s World Gourmet Summit 2012 provides a comprehensive range of workshops, many of them helmed by michelin-starred chefs from all over the world. But the one that interests me the most is the Ponthier Industry Dessert Workshop, not only because it involves the art of pastry making, but also because it emphasises on the type of ingredients which I enjoy working with the most, fruits. Gâteau de Tangelo Pochées or Poached Tangelo Cake, is a very simple to make flourless and butterless cake with an incredible citrusy zing to it. No gluten, almost fat-free, and potentially low sugar, this gateau makes the perfect afternoon tea cake, allowing one to indulge so ever frequently in an almost guilt-free manner and yet not become bored of it, as the flexibility of the recipe allows to be to readily modified for other citrus fruits varieties and even other fruits. The original recipe was for “Gâteau de clémentines pochées” (Poached Clementine Cake) in Trish Deseine‘s book “Mes Petits Plats Préférés“, a collection of simple-to-follow, and almost dummy-proof recipes which helped her to win the French Gourmand Cookbook Award in 2002. Exactly 10 years later now her recipes proved to be ever-withstanding and easily reproducible. 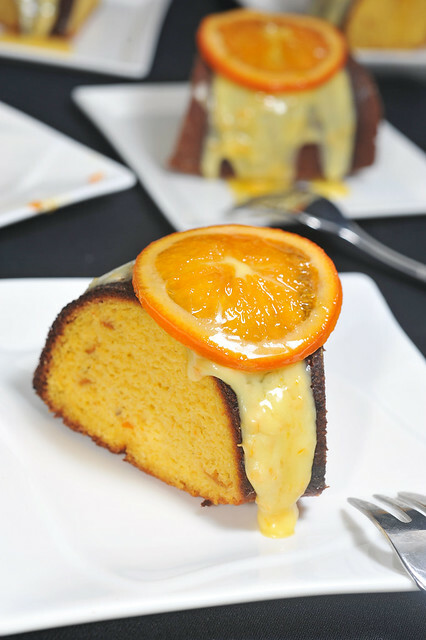 Deseine used clementines for her cake, a variety of mandarin oranges known for their seedless qualities. But since tangelos are in season, I’d used them instead, and may I add that the result was simply delish! Having made a rustic bread like the focaccia, I needed a stew to go along with it. 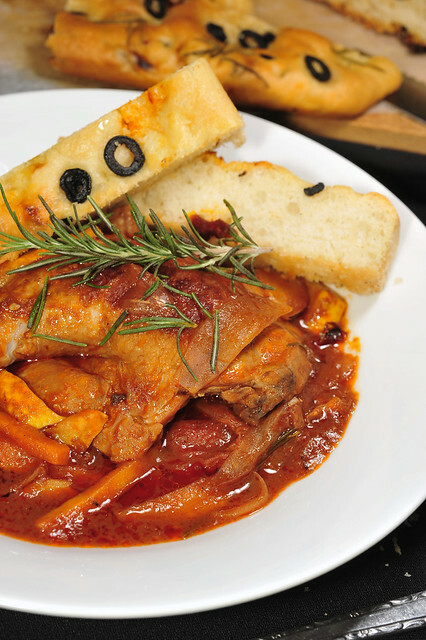 A simple italian fare like Pollo alla Cacciatora couldn’t have been a more apt choice.